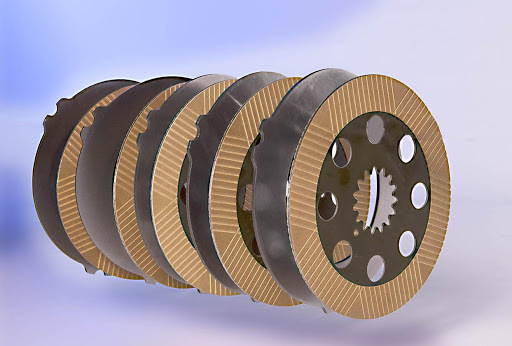 In addition to supplying friction to some of the world’s leading industrial brake and clutch manufacturers, ProTec designs friction solutions that are specially engineered for hundreds of applications, from door openers, to fishing reels, hydroelectric turbines and food mixers. Following summarizes many of the brake and clutch categories that ProTec can develop for your individual application. Electromagnetic Brakes: safety shutdowns, etc. Motor Brakes: spring apply / solenoid release, etc. Water-cooled Brakes: paper mill, tensioners, etc. Caliper Brakes: hydraulic, air, mechanical, etc. Tension Brakes: web tensions, ship to ship, etc. Torque Limiters: for PTO’s, power tools, etc. Static Brakes: gantry cranes, elevators, etc. Friction Washers: controller stabilizers, etc. Pneumatic Brakes: oil field, historic aircraft, etc.